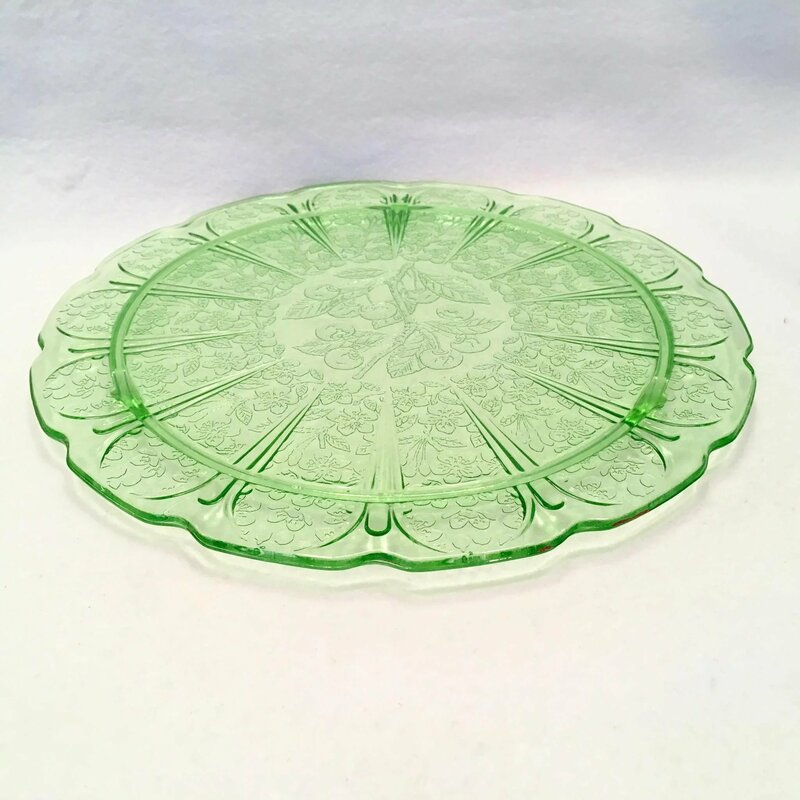 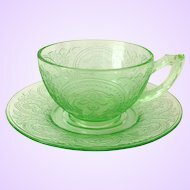 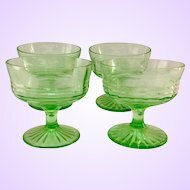 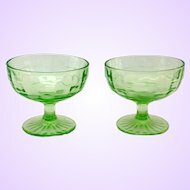 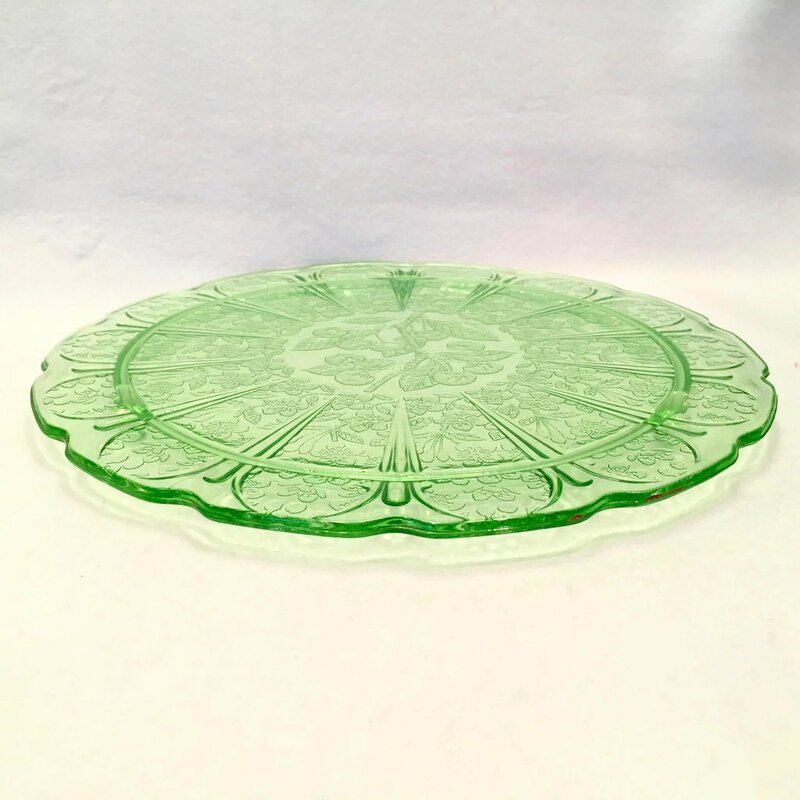 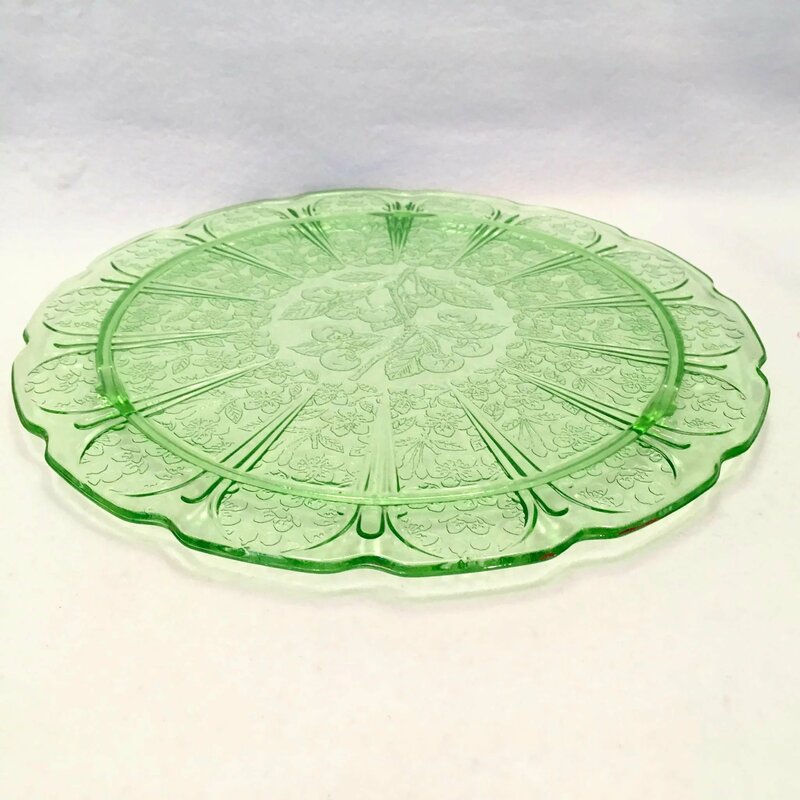 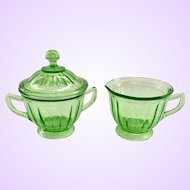 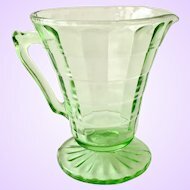 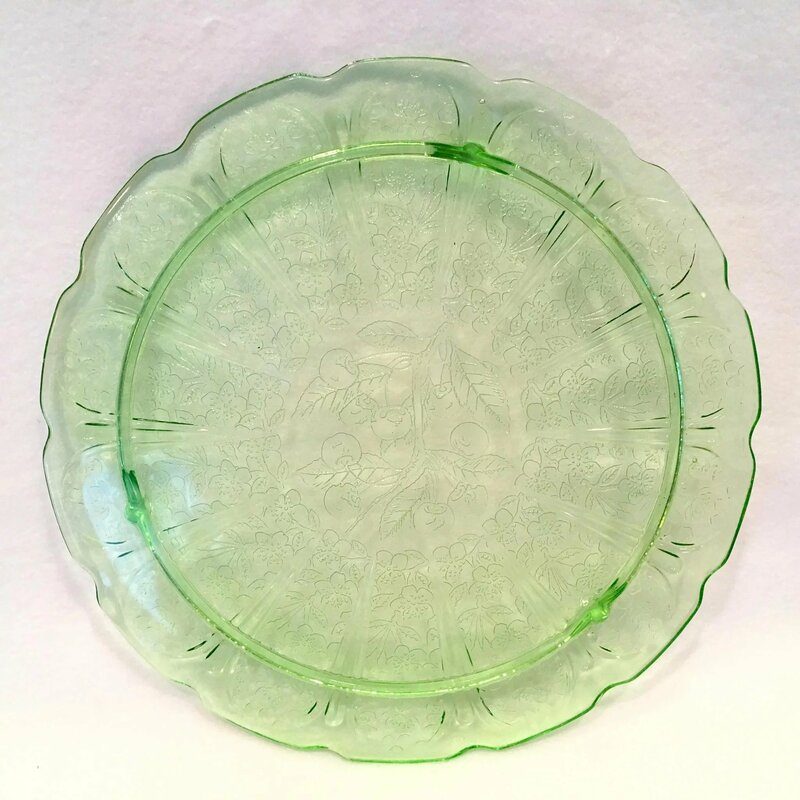 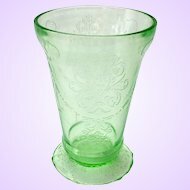 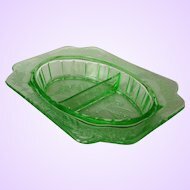 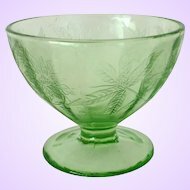 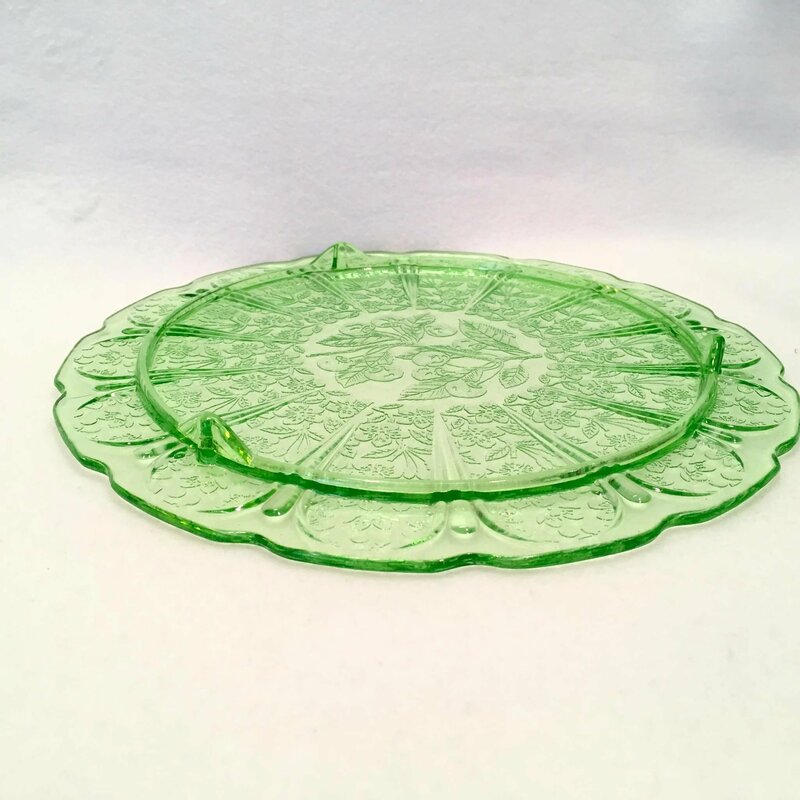 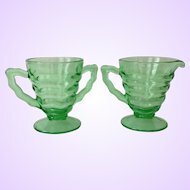 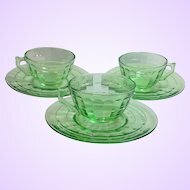 Imagine your beautiful cake presented on this Green Depression Glass Cake Plate in the Cherry Blossom pattern by Jeannette! 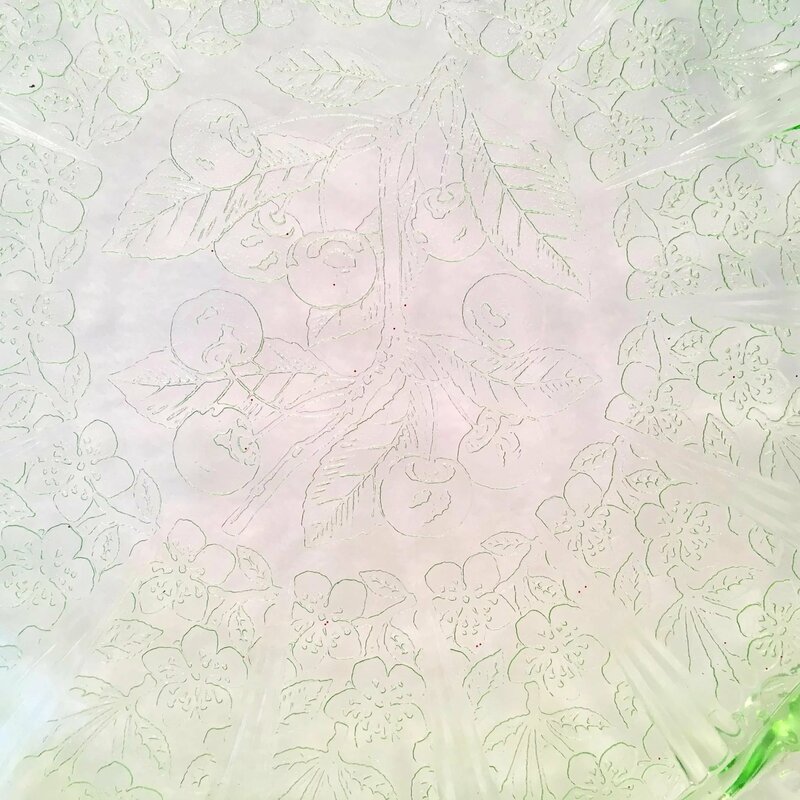 Cherry Blossom is an all-over in-mold pattern of five-petaled blossoms, leaves, and cherries carpeting small branches peeking through this design. 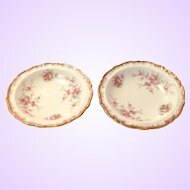 This three-footed cake plate has fourteen rounded panels of cherry blossoms that look like elegant windows. 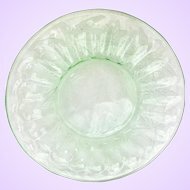 Like the spokes of a wheel, the panels are separated by tapered ribs that radiate out from the center. 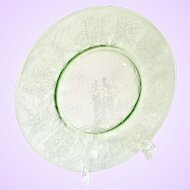 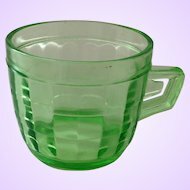 The plate rim is scalloped to follow the design. 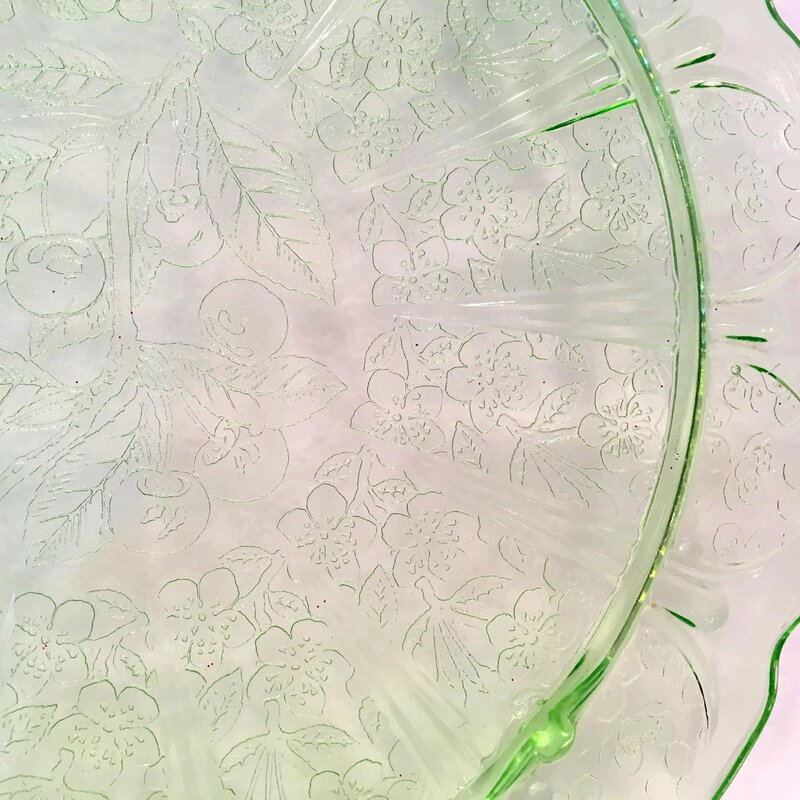 The center of this cake plate has a larger design of cherries still on the branch with detailed leaves. 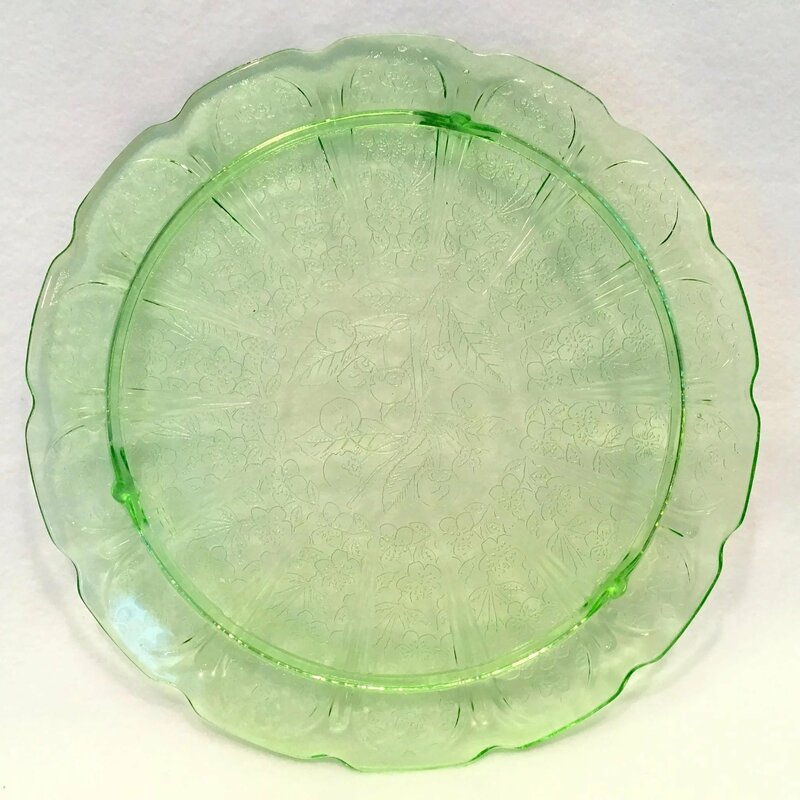 This charming vintage plate measures 10-1/4 inches in diameter and 3/4-inches high. 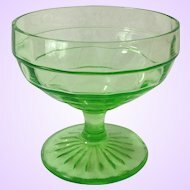 Made by	Jeannette between 1930 and 1939, there is no mark. 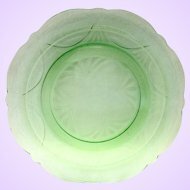 There are tiny specks of embedded dirt on the underside and a couple of places along the rim seam that appear to be paint, probably from the cupboard. 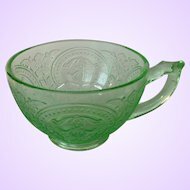 These small flaws show in the photos. 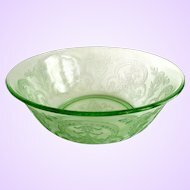 Other than expected surface scratches and a couple of negligible spots of mold seam roughness, there are no other condition issues.